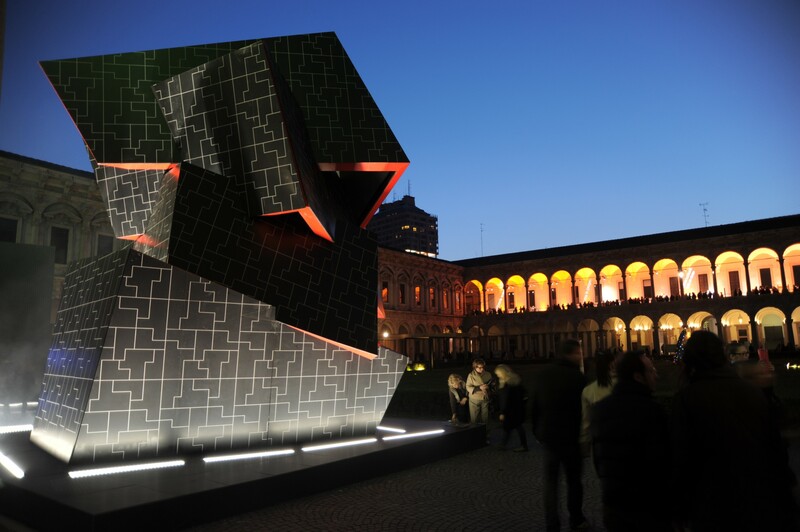 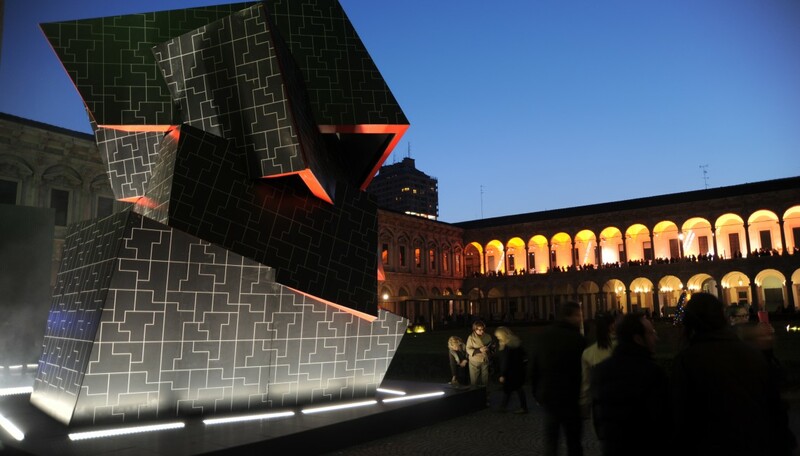 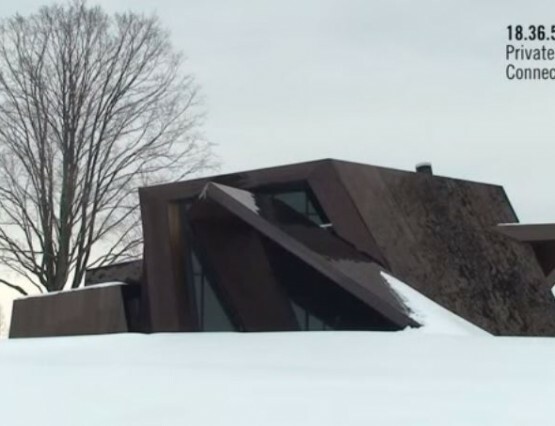 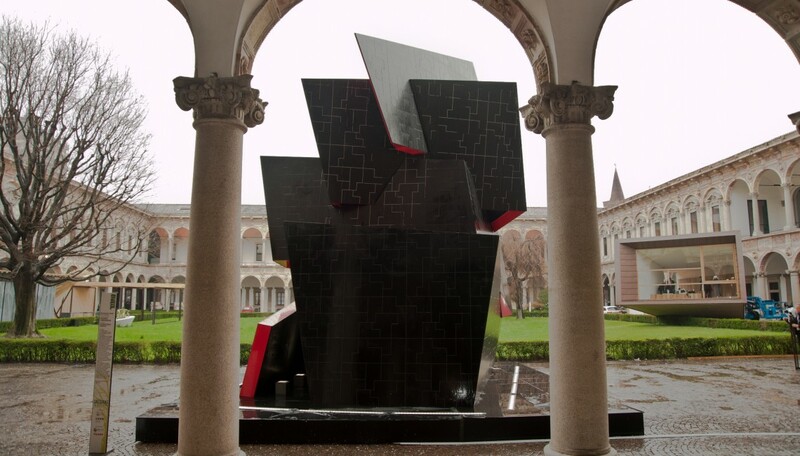 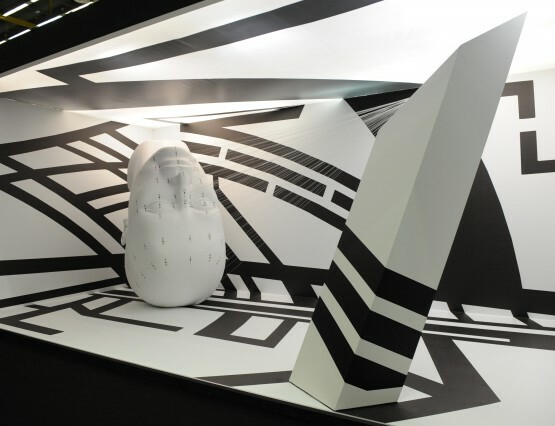 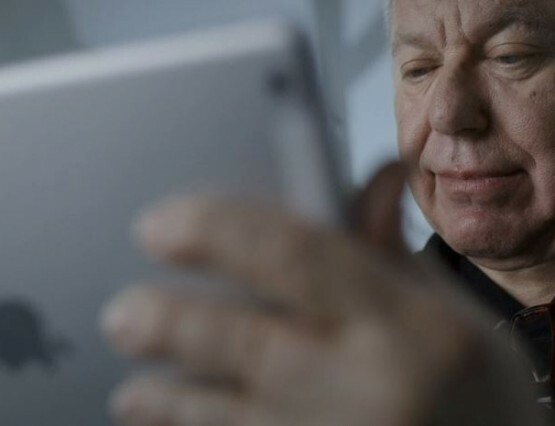 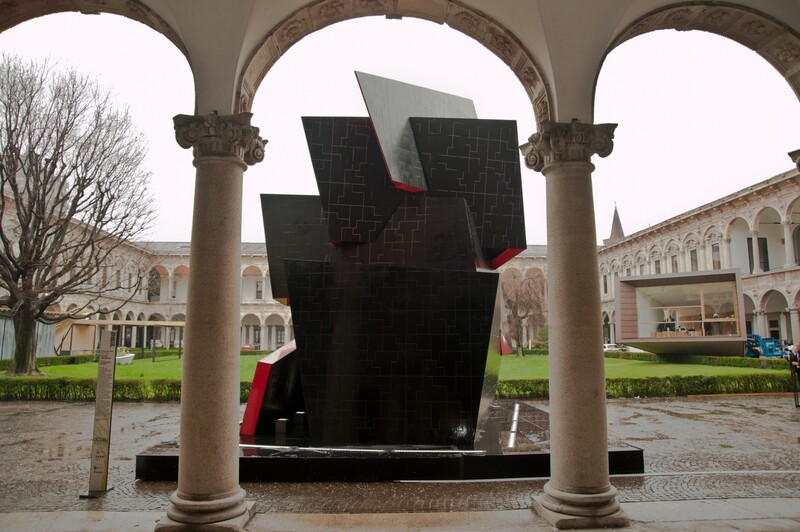 Daniel Libeskind presents an installation called Beyond the Wall as part of the Interni Hybrid/Metissage Architecture & Design Exhibition being held at the Cortile d’Onore Seicentesco of the Università Statale April 9-14 in Milan, Italy. 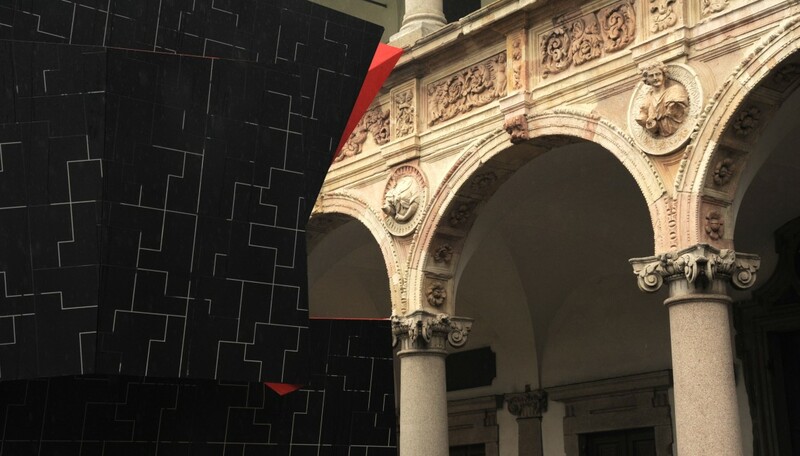 Made from Silestone® quartz treated with Consentino’s innovative matte “suede” finish, this spectacular polycentric spiral opens in multiple directions along many different trajectories, propulsively twisting to a dramatic zenith. 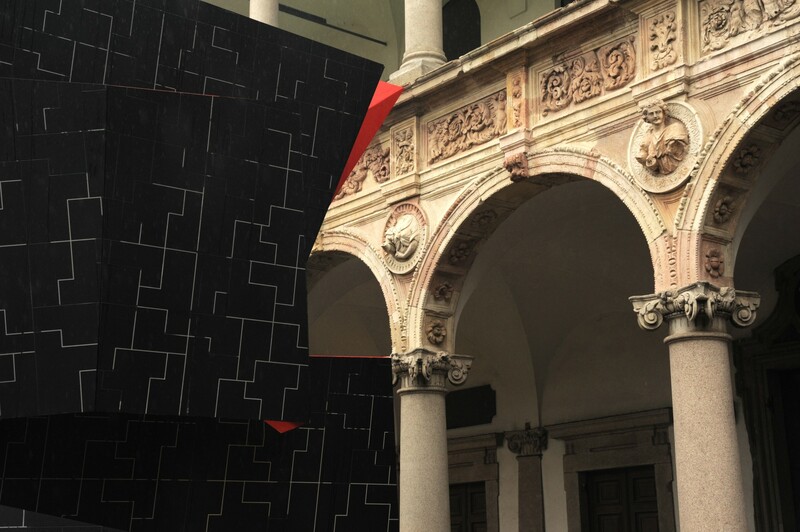 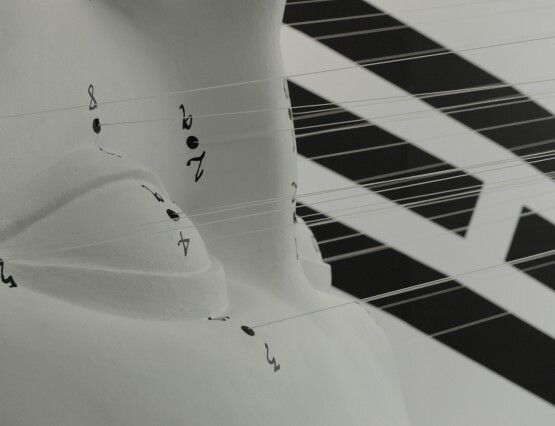 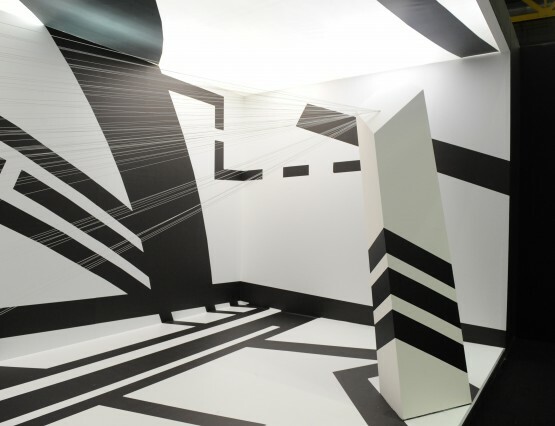 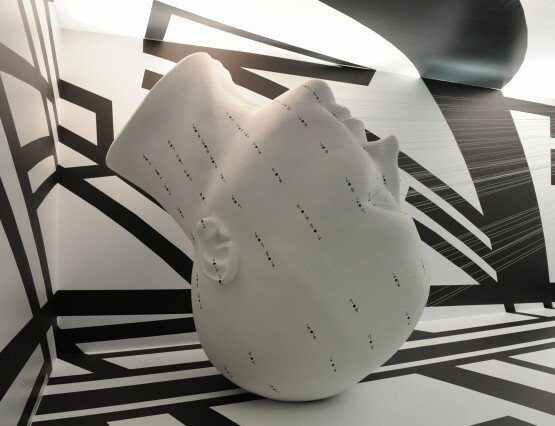 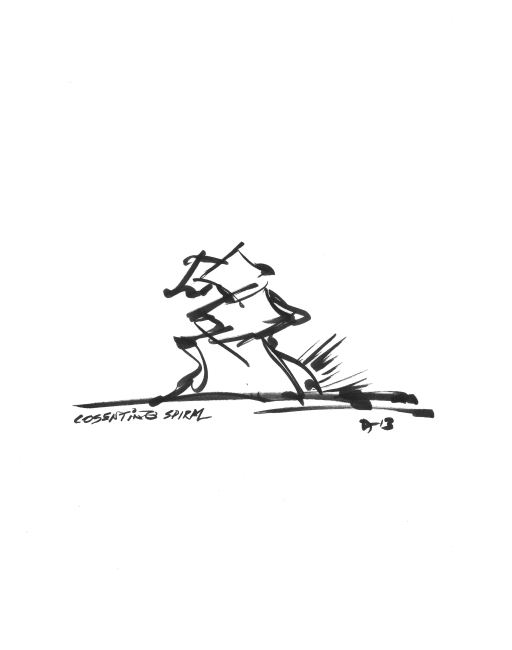 The exhibition’s other contributors include Sefer Caglar, Michele Cazzani, Mario Cucinella, Michele de Lucchi, Akihisa Hirata, Steven Holl, Simone Micheli, Chritophe Pillet, Luca Scacchetti, Dean Skira and Sergei Tchoban and Sergey Kuznetsov with Marco Bravura.